Climate change has become a highly polarised issue in Australia, with the focus on the economic and political costs and risks. A recent report from one of the world’s leading medical journal, The Lancet, highlights the risks to health from unrestrained climate change. The commission’s report is ambitious and wide-ranging in its scope, and was authored by health, climate, energy and economics experts from both Europe and China. The Lancet report warns that failing to address the issue presents “an unacceptably high and potentially catastrophic risk to human health and survival”. By overlaying population changes on climate changes, it finds populations are growing and migrating in areas worst affected by climate change. The report predicts 1.4 billion additional persons are expected to be exposed to drought events annually by century’s end. The report is relevant to Queensland, which has experienced more frequent drought and floods. Another example is the frequency of level four and five cyclones significantly increased despite fewer cyclones overall in the last few decades. The major immediate and long-term health co-benefits of action on climate change which the report discusses arise from a wide range of policies, including phasing out coal and other fossil fuels and scaling up access to renewables (thus reducing air pollution and protecting cardiovascular and respiratory health), creating cities that encourage active travel and other activities such as improving home insulation and diets lower in red meat and dairy. Previous climate negotiations have neglected to include the potentially large costs that adverse health impacts carry, yet whatever side of politics we are on, sustaining health is central to our well-being and happiness. The medical profession has a history of public health campaigns that counter enormous resistance from powerful business interests, such as tobacco and asbestos. Mitigating adverse health impacts from climate change pits the medical profession against the powerful fossil fuel lobby, yet in the interests of public health it has begun to speak out. 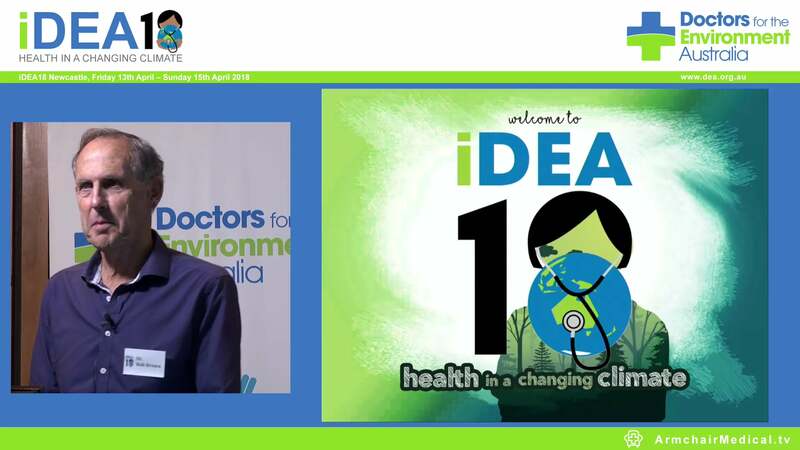 Recently the Australian Medical Association updated its climate change policy and set up a working group on climate change, and the Royal Australasian College of Physicians voted to financially “divest” from fossil fuels. More broadly, the Pope, leader of 1.2 billion Catholics, publicly stated: “We know that technology based on the use of highly polluting fossil fuels … needs to be progressively replaced without delay”. And an unlikely coalition of business, environmental, investor, union and welfare groups was formed to influence climate policy. 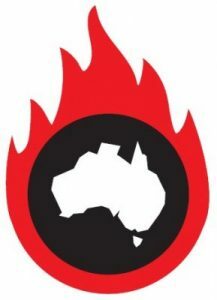 The group includes such heavyweights as Australian Industry Group, the Business Council of Australia, the Australian Aluminium Council, as well as the Australian Conservation Foundation, WWF Australia, the Australian Council of Social Service, the Australian Council of Trade Unions and the Climate Institute. In order to have a 66 per cent likelihood of limiting warming to less than two degrees, the remaining global carbon budget will be used up in the next 13 to 24 years. Scientists calculate three quarters of the world’s existing fossil fuel reserves have to stay unburned to achieve this internationally agreed safe level of warming. We must use our remaining carbon budget to make the switch to low-carbon technologies. Doing so will create many new jobs, and help avoid expensive adaptation costs. Major economies are now committing to substantial emissions reductions and a global pricing of carbon is increasingly likely with major negotiations in Paris later this year. It’s clearly time for our governments and society to re-examine our dependence on fossil fuels and plan for a low carbon future. China, a major destination for our coal, is making the transition to cleaner energy and improved air quality.Queensland, it’s time to deal with our addiction to coal. Our own and our children’s health depends on it. This comment first appeared in the Brisbane Times on 22 July 2015.